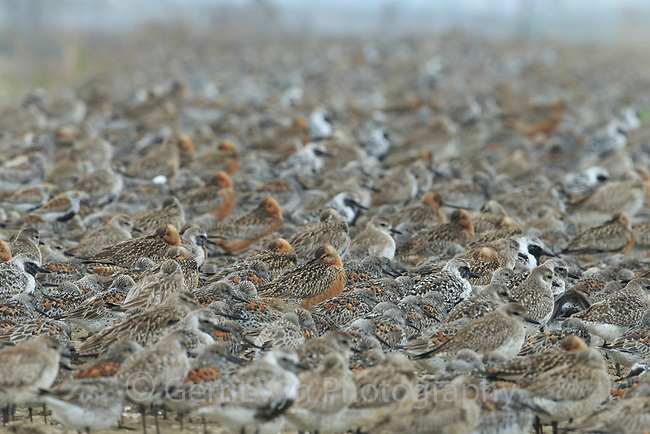 With the elimination of high tide mudflats, shorebirds are forced inland to roost exposing them to a multitude of dnagers including power lines, terrestrial predators, and pollution. They are also exposed to high levels of discturbance during periods they would normally rest. Yalu jiang, China. April.